This math art project comes from Miss Bowler's Partridge Class! Kids practice their multiplication tables while creating art! They have to problem solve when filling in their Vedic Square. Their square should not include any two-digit numbers. If the solution is a two digit number for one of their boxes, they must add the numbers in the ones and tens place together to obtain a single digit. For example, 4x4 equals 16. Instead of writing 16 in the box they write 7 (1+6=7). After they fill in their square, they look for patterns. They can further investigate patterns by choosing one number and connecting it to the same numbers throughout the square. For example, connect all 4's to each other. Next, they can color in the squares to create a design. Then, they can count up the squares and write a fraction for each color. 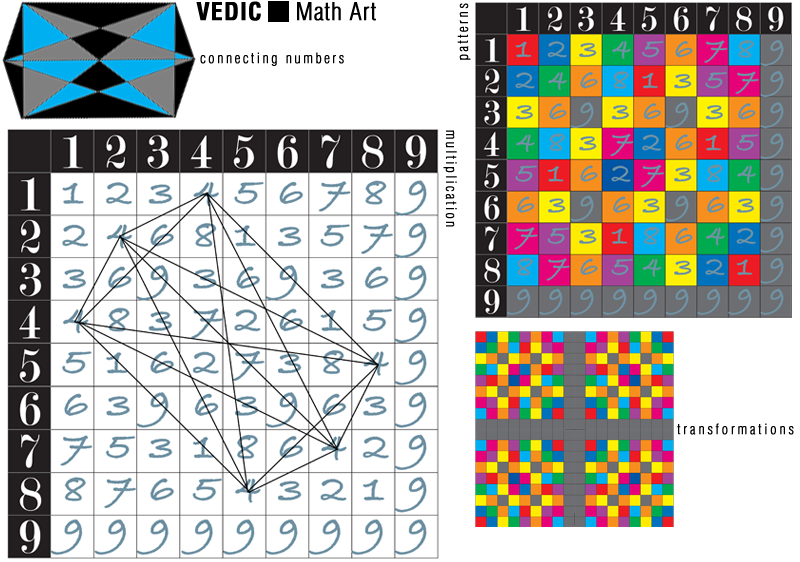 How many times did the number one show up in the Vedic Square (6/ 81)? They can make copies of their design, transform the pieces (reflection and rotation) to create one large, colorful piece of art. Visit Miss Bowler's page for more details!